I write and preach first to myself. And then hope my musings and my questions resonate with others. I try to not ask others to consider or to do what I am not willing to do myself. But, one place (among many, I am sure) where I fall short is with this commandment. I am not talking about Saturdays or Sundays, but about sabbath time. Time set aside when I allow myself to just stop. I am much better at doing. At filling the moments I have with the demands of my list. I saw the headline, but didn’t read the article. Make a List of What Makes You Happy and Put It Next To Your To Do List. Even though I didn’t read the article something must have sunk in because for the past several days I have been plowing through my To Do list like I always do, but I have also been paying attention to those things which make me happy. Or more accurately, those things that add depth and meaning to my day. Here is what I have noticed. 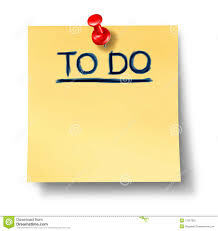 There are many things that just have to get done (my To Do list), but if I can both make sure I carve out a few moments each day for those other things and then pay attention to them, I feel better. I am more at ease with myself and with others. I smile more. In the past week those moments have run the gamut from watching my dog run merely for the joy of running to working with others to provide a scholarship so a high school senior can pursue her dream of going to college to going down to the basement to work on a piece of furniture which I am building. But maybe I am learning.